Color Club lets you create high-fashion looks for every identity with Alter Ego, their latest collection of diverse, long-lasting lacquers! 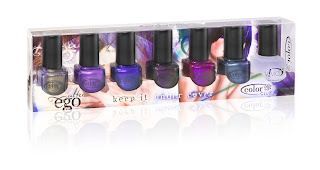 Alter Ego’s ‘Reveal Your Mystery Collection’ 7 piece salon pack includes Get a Clue, Revealed, Incognito, Secret Rendezvous, Sheer Disguise, and Give Me a Hint shades plus Milky White Base Coat. 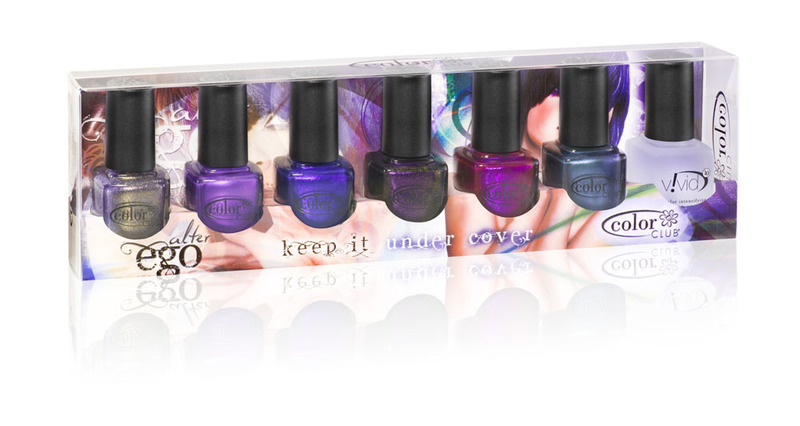 Their ‘Keep It Undercover Collection’ 7 piece salon pack includes Alter Ego, Secret Agent, Total Mystery, Alias, Ulterior Motive and Masquerading plus Vivid Top Coat. This entry was posted in Press Releases and tagged Color Club by Tara. Bookmark the permalink.